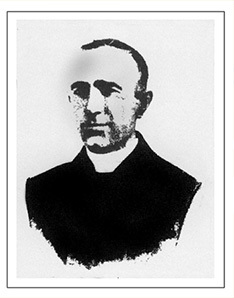 F. Boyle was appointed the first parish priest in 1911. He was born in Trummon Co Donegal on 12th March 1870 and ordained in June 1898. He served at St Anne's in Blackburn until 1902. Later Holy Trinity, Newcastle-under-Lyme 1902-03, St Ambrose, Kiddeminster 1903-1907 and the historic parish of Ss Peter & Paul, Brailes Warwickshire 1907-1911 and finally Hednesford until his premature death in 1921. During his ministry in the town he lived at 1 Church Hill. He became an Honorary Chaplain of the Sanctuaires Notre-Dame de Lourdes because of great devotion to the French Shrine. Initially he was buried at Cannock but later re-interred at the churchyard at Hednesford. Fr. Healy succeeded the late founder in 1921 and remained for twenty-six years. It was Fr. Healy who modified the dreams of his predeccessor and had built the spacious church, the grotto and mapped out the churchyard and organised the extensive grounds. 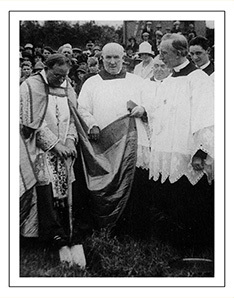 He was one of the "Founding Fathers" of the Birmingham Diocesan Pilgrimage to Lourdes in 1933. 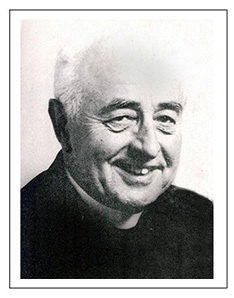 He, too, was appointed an Honorary Chaplain of the Sanctuaires Notre-Dame de Lourdes because of his services in encouraging the faithful to make pilgrimage and it was there that he died and was buried in September 1948. He served at Sacred Heart, Hanley from his ordination in 1910 for two years and then neighbouring Burslem for one year. Then St Anne's , Alcester Street, Birmingham for five years and prior to his appointment to Hednesford three years at St Edward in Selly Park Birmingham. At the finish of his chapliancy in H.M. forces in 1945, Fr. Griffin came to Hednesford (I understand in his army uniform) as an assistant to Fr, Healy whom he succeded as Parish Priest. 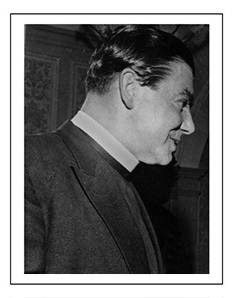 He was ordained in 1932 and served as an assistant priest at St Mary's, Uttoxeter, St Elizabeth's, Coventry and St Anne's, Alcester Street, Birmingham and then a year at Canterton in Oxfordshire before ministering to His Majesty's Forces. During his years at Hednesford he became renown for his fine tenor singing voice and powerful speaking which he used to the benefit of the Birmingham Lourdes Pilgrimage. From the steps of the Rosary Basilica in Lourdes he led the English prayers at the daily Eucharistic Procession - without the aid of a microphone. Pilgrims looked on in amazement at the power of his voice on these occasions. It was Fr Griffin who welcomed the Polish Refugees to the Diocesan Shrine at Hednesford at their pilgrimages which began in 1948. He made many improvements to the church and had Centenary Hall built which was opened in the Lourdes Centenary Year 1958. 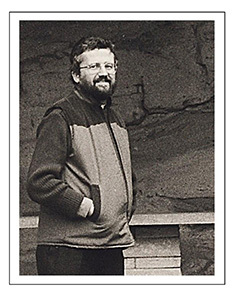 He was one of the founder members of the annual Hednesford pilgrimage in 1969. Fr Griffin is buried in the churchyard next to Fr Boyle around the calvary. It had become something of a tradition in the Diocesan life that incumbent of Hednesford should have a close association with the annual diocesan pilgrimage to Lourdes. So Fr Daly who had travelled with the pilgrimage since 1958 was appointed to succeed Fr Joseph Griffin on his retirement in 1972. From Manchester, he studied for the priesthood at the Beda Seminary and was ordained in 1955 and served in curacies at St Joseph, Wolverhampton, St Teresa, Saltley. He undertook youth ministry at Soli House, Stratford-upon-Avon and a final curacy at St Elizabeth's, Coventry, before his appointment to build a church and presbytery at St. Peter, Eynsham, Oxon. 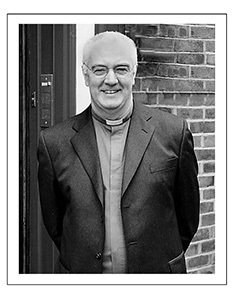 Prior to Hednesford he spent a couple of years at Our Lady Help of Christians in Tile Cross, Birmingham. He retired in 1985 and died in 1992, he is buried in the churchyard at Hednesford next to Fr. Griffin. Fr. Sandy Brown enjoyed a long ministery here from 1985 to 2003. It was a period of immense change with the close of the mines in the town and surrounding areas. The chapel of ease of St Joseph at Pye Green closed with the readjustment of Mass times. 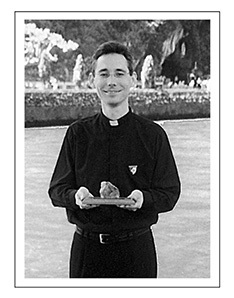 He is one of three priests within the Archdiocese who is a member of the Hospitalité of Our Lady of Lourdes. For some years he was Chaplain to the sick on the annual Diocesan Pilgrimage. Fr Sandy is now the parish priest of St Giles, Cheadle. He arrived here from curacies at Our Lady of Mount Carmel, Redditch and St Dunstan, Kings Heath, Birmingham. He made improvements to the hall and had built the ramp for wheelchair access to the church. Arrived in July of 2007 having been parish priest at St Mary's, Leek 1996-2004 and St Thomas of Cantebury, Tettenhall, Wolverhampton.